- to organise lecture series, workshops and conferences. Formal collaborations have now been set up with the Wellcome Trust Library and the Science Museum; an existing Society formal collaboration with Senate House Library has been brought within HoPC’s remit; and existing HoPC links with the Wellcome Trust Centre for the History of Medicine at UCL will be strengthened and developed (see seminar series: www.bps.org.uk/HoPCseminars). HoPC’s collection of individual psychologists’ archives and the Society’s own archive (minute books, etc.) will be transferred to the Wellcome Trust Library in Euston Road, London, where the material will be looked after to the highest archival standards. The archives will be available to researchers and interested members of the public alike. All the material remains the property of the Society. The agreement with the Library also provides for the development of the archive through acquisitions of psychological material generally and through the acceptance of the Society’s own archive material as an ongoing arrangement. A significant part of the new HoPC is a five-year sponsorship arrangement agreed with the Science Museum. This will provide for a part-time BPS Curator of Psychology at the Museum with responsibility for raising the profile of psychology within the Museum’s exhibitions and programming, and for developing potential opportunities for focused projects featuring the history of psychology. The Curator will provide a key point of liaison between the Museum and the Society, and will contribute significantly to the Museum’s work by interpreting both psychology within a science context and science within a psychology context. The sponsorship deal also includes a temporary (four to six months) psychology exhibition and three public dialogue events at the Dana Centre HoPC’s book collection has been transferred to Senate House Library to be merged into the Society’s existing official library there. With the Society’s help the Library successfully applied to the Wellcome Trust’s Research Resources in Medical History grant scheme for a grant to cover the costs of cataloguing the transferred books. There has also been a merging of the two rather incomplete collections of subsystems publications held by HoPC and Senate House Library. Members’ help is needed to make as complete a single collection as possible (see www.bps.org.uk/HoPCsubspubs). All Society members will be able to register with the Library free of charge and have access to a wide range of resources, including remote access to primary resources online. HOPC will continue to occupy an office at Tabernacle Street, where the Society’s archivist is based. As well as a small collection of books and journals, the Society’s audio and visual archives will be kept there, where they will be maintained and developed. There is already an active Oral History Project (see www.bps.org.uk/ HoPCoralhistory, especially if you would like to interview or be interviewed). - to contribute to the HCC’s plan to audit the Improving Access to Psychological Therapies (IAPT) programme. 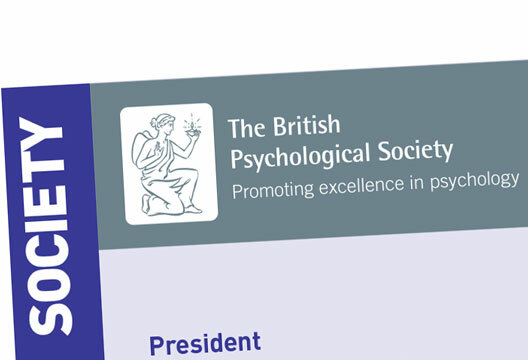 It was also agreed that it would be ideal if the National Institute for Health and Clinical Excellence (NICE) were to look at clinical guidelines for the provision of psychological services – examining the range of psychological approaches in addition to, and complementary to, the welcome focus on psychological therapies (more narrowly defined than ‘services’) under the Improving Access to Psychological Therapies (IAPT) programme. The preparation and submission of the Society’s responses to consultations on public policy is coordinated by the Policy Support Unit (PSU). All members are eligible to contribute to responses and all interest is warmly welcomed. Please contact the PSU for further information ([email protected]; 0116 252 9926/9577). Details of both active and completed consultations are available at: www.bps.org.uk/consult. If you are faced with an ethical question or asked to give advice about an ethical problem, what should you do? Of course you would first reach for the Code of Ethics and Conduct (www.bps.org.uk/code), and that will provide answers to most questions. But then what? Perhaps you feel this is not enough, as it does not cover specific cases, providing only general guidance. Take as an example the role of a clinical psychologist whose job involves assessing patients to enable them to access special funding under a so-called ‘low priority treatments policy’. This lists examples of procedures which patients will not, as a rule, get on the NHS and then defines exceptions. The example I would like to discuss (fictional, but based on experience of real cases) is a 37-year-old man, who had gynecomastia – enlarged breasts from his teenage years. He works as an engineers assistant in a ship’s boiler room and has been teased by his shipmates. He has recently started a new relationship and was very embarrassed about his breasts. His stated clearly that if he did not get the operation he would set about doing it himself – self-surgery. He had no formal psychiatric history, but described periods in his life when he was anxious and depressed. Should he get the operation? - Where the patient will be affected in such a way as to leave them suffering with a severe or life threatening illness as a result of not receiving the requested low priority treatment. - Where the patient has a pre existing or current mental illness of sufficient severity to warrant treatment, then a psychiatric assessment will be required to identify whether the patient is at significant risk of further mental illness if the treatment is not undertaken, or that the intervention will significantly contribute to the alleviation of the mental illness. - Where the patient is suffering from significant persistent pain, requiring medication, which the requested treatment will alleviate more effectively than other forms of pain relief. The referring clinician will need to specify why the clinical circumstances surrounding the pain are exceptional, and justify the requested treatment. a) Is this a practical issue of how you allocate resources or an ethical one of deciding who are the deserving and undeserving; that is, are the criteria ethical? b) Can a psychologist claim to be able to predict whether, in any particular case, having or not having the procedure will or will not seriously endanger the patient’s physical and/or mental health, that is are the criteria workable? c) Should a psychologist be involved in rationing services in this way? d) Should the question really be deciding whether the person needs psychological therapy or not, rather than whether they need a surgical or medical procedure? Supply and demand: Given there is a limited amount of NHS treatment available it is inevitable that demand will outstrip supply. To be ethical under these circumstances you would need to develop some way of allocating the resources in a fair and open manner. In this particular example, there is a panel and an appeal process. Due process would be an important safeguard. Effectiveness: If we have evidence that an approach works, is available, and there are people needing it, to match patient to procedure would clearly make sense. This would be the effectiveness argument and the ethical issue is that you are not wasting public money (if working in the public sector) or potentially harming the patient. In this example there may be a limited evidence-base in terms of prediction in an individual case, but perhaps more in terms of surgical effectiveness. Finance and risk: Often screening is not based on such considerations, but more on such things as risk and complexity and cost of not having them in treatment. In this example it is the estimate of the risk of self-harm which may be the deciding factor. However, hidden underneath such screening systems there may be less obvious issues. Some patients are considered less ‘deserving’ than others. Interrogation of the screening criteria, the process itself and the underlying values it embodies, can help when approaching such a problem. One excellent way of dealing with issues like this is to argue for the maximum degree of openness, consistent with maintaining patient confidentiality. If this is done there can be feedback built into the system so that appropriate challenge can be made if necessary. - Non-standard applications for registration as a Chartered Educational Psychologist: The Board approved the application forms, core competency information and pro-forma assessment documents. It was also agreed that the recruitment of the scrutiny panel and Board of Assessors should be managed within the Membership and Qualifications Teams. - Candidates for Society qualifications with English as a second language: The Board agreed that materials submitted for assessment/examination, including taped sessions, must be submitted in the English language unless other relevant legislation applies. - Financial review of the Boards of Examiners/Assessors: In order to meet the Trustees aspiration that the qualifications should seek to become entirely self-funding, the Board approved recommended fee increases in relation to each Board of Assessors. - Benchmarking of training routes at D Level: The Board agreed to include in the revised Quality Assurance policies and practice booklet a statement to the effect that training programmes that fulfil the requirements for Chartered Status would be benchmarked at doctoral level as defined by the QAA in its Framework for Higher Education Qualification. The revised booklet is due to be produced for consideration by the Board at its November meeting. - Supervisor training and recognition: Following the meeting of the STAR group on 26 September, a paper will be submitted to the Board of Trustees requesting approval to launch the scheme and its operating procedures. - New Ways of Working for Applied Psychologists in Health and Social Care – Summary Report: The Board agreed that this is an important area for strategic development, and that the views of the NWWAP group merit further active consideration within a short timescale. - Committee on Training in Clinical Psychology – Revised accreditation criteria: The Board approved revised criteria for the accreditation of postgraduate training programmes in clinical psychology. - Division of Educational and Child Psychology Training Committee – Revised learning outcomes: The Board approved the inclusion of the revised learning outcomes in the criteria for the accreditation of three-year training programmes for educational psychology in England, Northern Ireland and Wales (June 2006).